Ours is a 5 bedroom Penthouse, plus maidâs rooms in central Singapore. It is located on the East Coast of Singapore, next to the Singapore (Geylang) River, with the National Indoor Stadium immediately across the river from us. We have restaurants and nightlife a short walk away, and are a 10 minute car ride away from the main Orchard Road shopping district. Our penthouse looks out on the ocean, and the beaches of the East Coast are easily accessible. Our penthouse is located in a luxurious condominium, with 2 swimming pools, a large Jacuzzi, fitness centre, and floodlit tennis court. Our roof garden has a private outdoor Jacuzzi (accommodates 6), with sun lounges, barbecue and eating area. 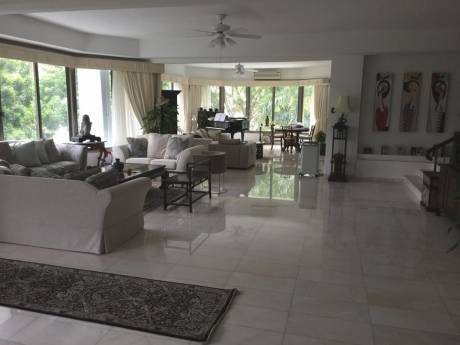 Total floor area on two levels is around 5,000 sq ft, The ceilings are high, and all rooms are very light and spacious. All bedrooms have en suite bathrooms, equipped to high standards. The master suite is equipped with a king size bed and walk in dressing area. 3 other bedrooms have double beds, or singles that expand to doubles. We use the 5th bedroom as a study, but have additional bedding, if necessary. The penthouse can be accessed by private lift and the condominium has 24 hour security guards (although Singapore is one of the safest places in the world). We have two full-time live in maids â one maid would travel with us, to keep your place in pristine condition, the second would stay behind to keep ours the same, and also cook/do laundry for you, as you wish. We are a British/Philippines family who have lived in Singapore for 14 years - my husband Jim is a senior executive for a large American financial services company. I am Charito, and have an internet business, which I run from home while caring for our two boys who are 3 and 5 years old. We will treat your home the way we treat ours - we are very clean, tidy, respectful and careful, and we would expect the same from you. We have just joined home exchange, and have not exchanged before, so are quite nervous about entrusting our home to strangers â hence we know how you feel! My husband has two daughters aged 15 and 18, who live in Sweden, and may join us wherever we stay - in this case we could be 7 instead of 5 (inclusive one of our maids). We also have a six bedroom second home in Vastervik, Sweden, which we may list for exchange in future. We live in a smoke-free home. We have two live-in maids, and would leave one to take care of you. We have no pets and would rather not have any at home. This is a child-safe house as our kids are still young. Singapore is a lovely, cosmopolitan, city state. We are 10 minutes from the centre, and anywhere in Singapore is easily accessible. You can also drive across to Malaysia in 30 minutes, or take a one hour boat ride to the island of Batam, in Indonesia. 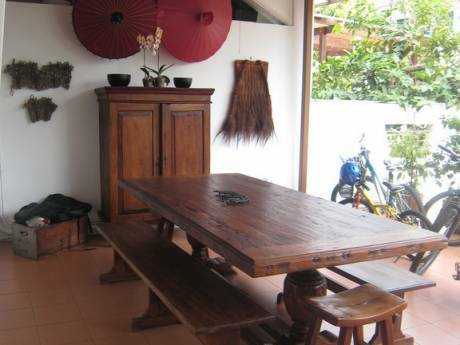 We are very close to the main shopping districts, and have excellent restaurants in short walking distance. The area we live in is very nice, and great to have stroll down by the river. 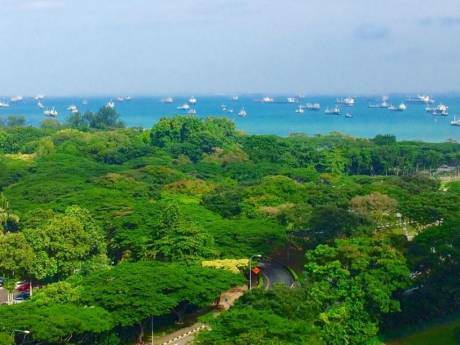 Living in our penthouse is equivalent to any 5 star resort â you would have a fantastic holiday without even leaving the place â but then there is all of Singapore and the surrounding areas to see! We would be willing to consider car exchange as well, and have a 2005 Honda Odyssey, which easily carries 7.